Add a little edge to your look with these Rivieras™ Classic 20 Slip-On Sneakers. Woven textile and canvas upper. Contrast stitching at the midsole. 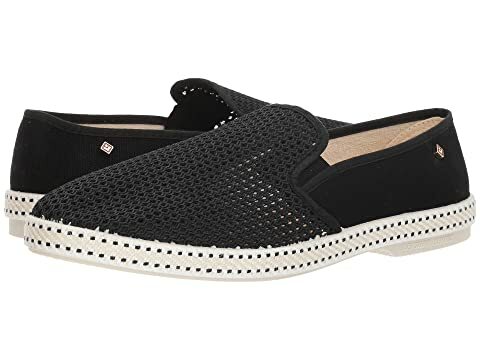 We can't currently find any similar items for the Classic 20 Slip-On by Rivieras. Sorry! Overall: Rated: 2 stars! Comfort: Rated:2 stars! Style: Rated:5 stars!